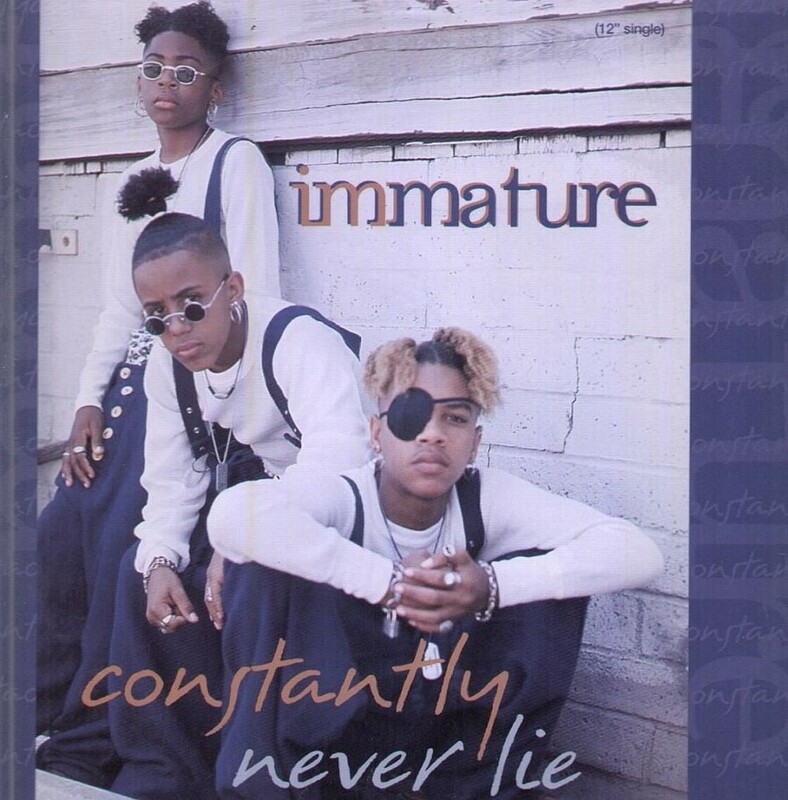 While a lot young R&B groups spat out sappy ballads and pop-heavy tracks, the LA-based group Immature was one the few acts that had their sights more contemporary and mature (no pun intended) content. It was 1994, just two years after the release their debut album, On Our Worst Behavior, and the group’s lead midtempo single, "Tear it Up," was a flop. Teeny-bopper R&B was changing: Aaliyah, an around the way girl with a mysterious aura, had teamed up with R. Kelly, creating a vibe that both kids and adults could enjoy, and TLC had traded in their condom-wearing getups for an image that was CrazySexyCool. While groups like Another Bad Creation faded out because they couldn't adjust to the change, Immature was determined to stay in the game for the long haul. Immature’s original members — Marques "Batman" Houston and Jerome "Romeo" Jones—were only 13 by the time their sophomore album Playtime is Over was released but had been through a lot in the music business: They signed to Virgin Records in 1991 but were dropped after their album had underperformed, and the groups orignal memeber Don "Half-Pint" Santos was removed from the group by his parents after the trio appeared in 1994's House Party III. Playtime is Over marked a new beginning for the group, with a new deal with MCA, and Kelton "Little Drummer Boy" Kessee replacing Santos, they made a calculated decision to shed their colorful oversized outfits and kiddy lyrics for mature themes in hopes being taken more seriously as a musical trio. “That album was too bubblegum," Jones told the LA Times. "It was just for kids. Our image was for kids too . . . weird clothes, a bright, colorful look. But a lot people weren't relating to the look or the record.” What made immature unique compared to their contemporaries is that each member played at least one instrument and the group had perfected the art harmonizing — a hard thing for teenage boys who were experiencing puberty to do. "People think we're too young to be good singers, but we fool them all the time," Kessee said to the LA Times. "We're young, but we've had a lot experience." Playtime’s lead single “Never Lie” was accompanied by a music video directed by Keith Ward (TLC’s "Baby, baby, baby," Shai’s "Baby I’m Yours"), which featured the boys singing next to a waterfall, and dressed in neuteral tones, a far cry from how the group was orignally introduced in 1992. It also introduced Kessee as the ficial new member the group. The group was already going from boys to men and was determined to crossover to a more adult audience. "The new album is less bubblegum, something kids and adults can relate to,” Jones told LA Times. “It's not immature; it's more mature." Immature was still finding their way, and though it was overwhelming at times, the music video was part a bigger worldview, and a mature step in the right direction.